Carlo Francesco Remonda (aka Charles-François Rémond) was born on 2.11.1761 in Comologno, Valle Onsernone in the Canton Ticino, southern Switzerland. He was the son of Pietro Antonio Remonda. While being very young, he emigrated together with his family settling down in Bourges, France. In 1789, he entered service in the French National Guard as a simple soldier. On 25 August 1792, he became captain in the First Battalion of Volunteers, called in French "volontaires nationaux", du Cher-Val de Loire; this was a unit of the revolutionary army. He served from 1792 to 1794 in the army of the Moselle, and on 5 April, 1794, he joined the 132nd demi-brigade of Infantry. Assigned to the army of Sambre-et-Meuse in 1794, he was transferred to the 108th demi-brigade of Infantry on 4 May, 1796. His Swiss origins helped him to join the army of Joseph Mainoni that entered Switzerland in 1798, where he remained till 1800, and said to have fought in Schwyz against Russian Empire troops. Unfortunately, there are no evident testimonials that Remonda managed to came back to Ticino at the difference of Mainoni, while being in Switzerland. The fact that he fought in Schwyz possibly implies that Remonda served in the First and Second Battle of Zurich. He was promoted to the rank of Chef of Battalion on 3 August 1800 and major of the 34th Infantry Regiment on 3 November 1803. Remonda became knight of the Legion of Honour on 25 March 1804 and in 1805 he was stationed in the garrison of Mainz, Germany. Like all areas on the left bank of the Rhine, Mainz had been annexed by France and became Mayence; at that time, it was the capital of the French department of Mont-Tonnerre, named after Donnersberg, being under the administration of French Prefect Jeanbon St. André. In 1806 and 1807, he participated in Prussian and Polish campaigns and was appointed colonel, on 31 December 1806, of the 34th Infantry Regiment. From 1808 to 1813, following the French defeat at Battle of Bailen in Spain, Remonda was personally assigned by Napoleon to join the Spanish war front. He was promoted to the rank of Officer of the Legion of Honour on 10 March 1809, becoming a Commander on 17 December 1810. He was promoted to Brigadier General, on 16 August 1811, and commanded thereafter the 2nd Brigade of the 7th Infantry Division of the Army of Portugal. The siege of Astorga 1812. Surrender of the French troops. 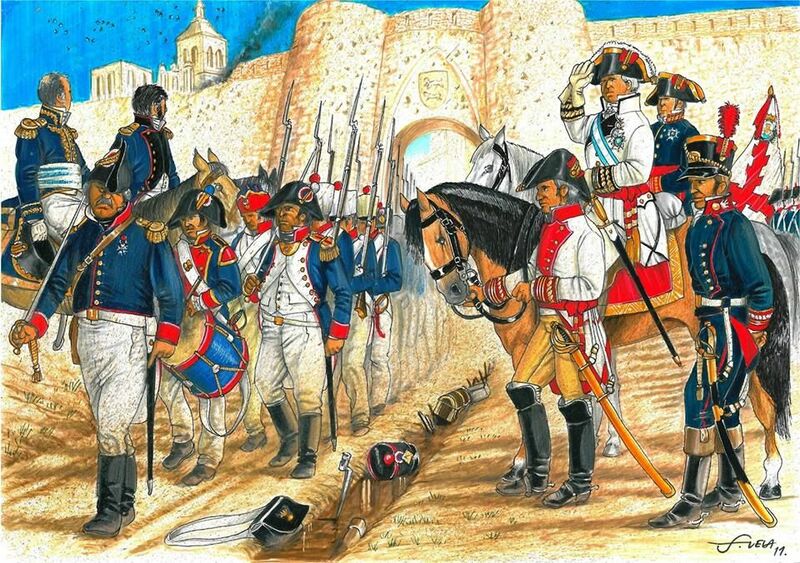 Remonda was wounded, on 11 April 1812, at the Battle of Villagarcia - also known as the Battle of Llerena - which resulted with the defeat of the French army. Remonda was the last commander of the Spanish city of Astorga, a small town located in the central area of the province of León. After the surrender of the city of Astorga in August 1812, Remonda was captured and detained at the La Coruña. He managed to escape from there by boat with other French officers arriving, after a long sailing adventure, in Santoña, near Santander. On July 16, 1813, he took command of the 2nd Brigade of the 6th Infantry Division of the Army of Spain. 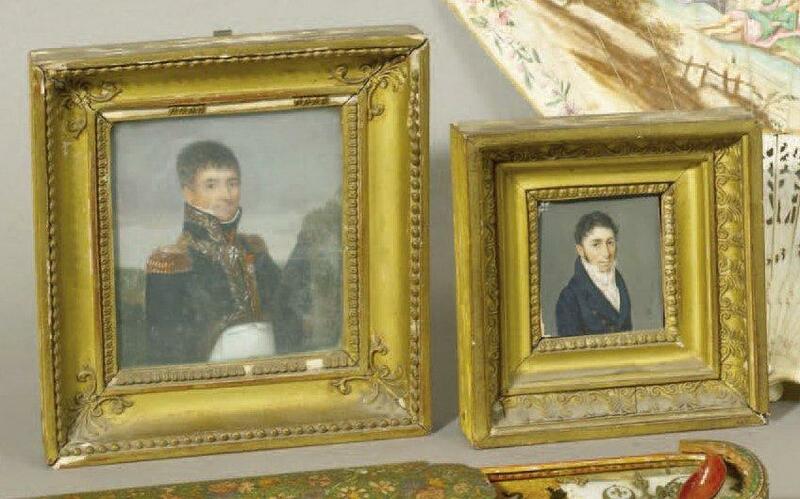 It is interesting to note that Remonda was not the only commander in Spain, having Swiss origins. For example, there was also Theodor von Reding (1755 – 1809) - we shall dedicate here to him a brief description even if has nothing to do with Insubrica region. Von Reading was born in Schwyz and was raised in Switzerland where he commenced very young his military career. At the age of 14, von Reading entered the Spanish service, becoming a captain in 1772, a lieutenant colonel in 1781, and a colonel in 1788. His troops were deployed in the Basque Country and in Navarre during the war against revolutionary France in 1793. In 1793 he was promoted to Brigadier in 1795. In 1801-02, he participated in the war of Spain against Portugal. 1803-04 he became Governor of the Province of Malaga and defeated the French at the Battle of Bailén on 19 July 1808 (see above for the details on this battle). 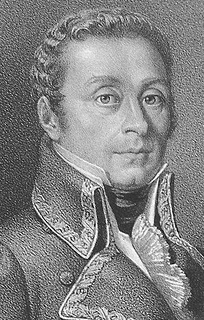 Von Reding was promoted to Lieutenant-General and to Captain-General of Catalonia; he died later as a result of injuries sustained in the Battle of Valls, on 25 February 1809. Von Reding remains well remembered presently in Spain where exists an association dedicated to his name called "Asociación Histórico – Cultural Teodoro Reding". Coming back to Remonda, we should say that despite having been judged by a military tribunal for the surrender of the city of Astorga, he was fully aquited in December 1813. In February 1814, he commanded the National Guard in Lyon and participated, on 11 March 1814, at the Battle of Macon against Austrians. The city of Macon was invaded by Austrian armies and liberated twice by French troops, before being permanently occupied until the fall of the Empire. During the First Restoration, King Louis XVIII (1755-1824) made Remonda a Knight of Saint-Louis on 24 August 1814. During the Hundred Days, he was placed at the head of the departments of the Vienne and Indre in the central France on 26 March 1815, which prevented him from participating at the Waterloo Battle (18 June 1815). Remonda was finally dismissed from the service on 21 August 1815 and was naturalised French on 21 January 1818, before being admitted as a fully France citizen on 1 January 1825. He died in Paris in June 24, 1843. It is not known if he had any children. Surprisingly, "Treue und Ehre" written by Pierre de Valliere does not mention Remonda nor Mainoni. A lot of information related to Von Reding is taken from the website of his association in Spain (link here). For Remonda in Spain, consult: Masque una guerra: Astorga y el noreste de Espana en el conflicto peninsular (Link) as well as the Ph.D. thesis of Arsenio Garcia Fuertes "La decisiva partecipation de los Ejercitos Espanoles en el triunfo aliado en la campanas de 1811 y 1812 durante la guerra de la independencia". Link here. Carlo Francesco Remonda left very early Comologno, but his grand-father Carlo Francesco Remonda had made a fortune in Chartres. His father builded in Comologno the "Palazzo di Sotto" which exists today; it is the house or rather a Palace in which our General Carlo Francesco Remonda was born in 1761.